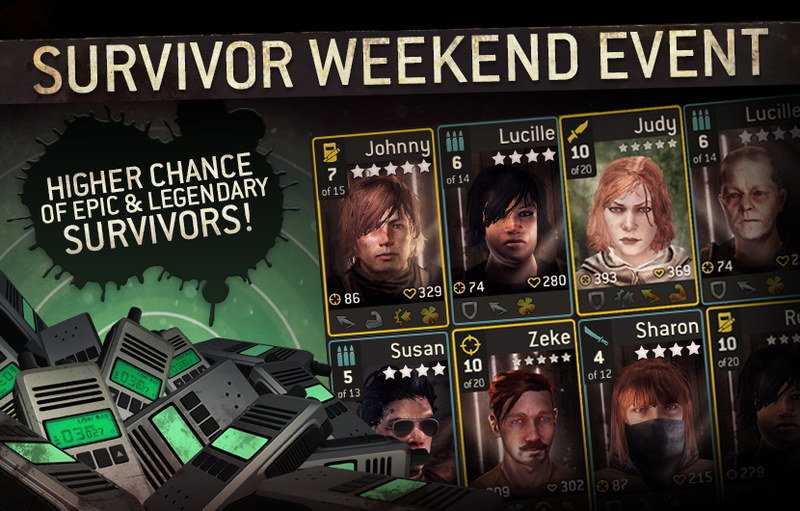 Weekend Event: Increased drop rates for Epic and Legendary survivors! For this weekend, we've increased drop rates for Epic and Legendary survivors! This time around we know you’ve been saving up Radio Phones, so here’s your chance to get some awesome reinforcements for your team! Note: Ends Monday 18th 01:00 EST / 07:00 CET.